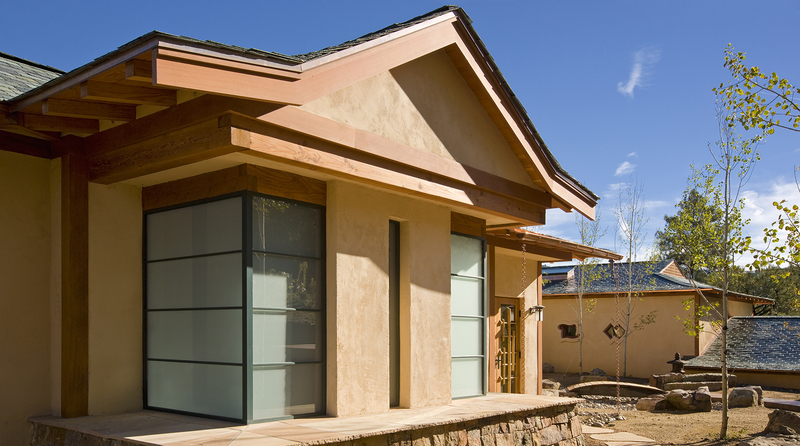 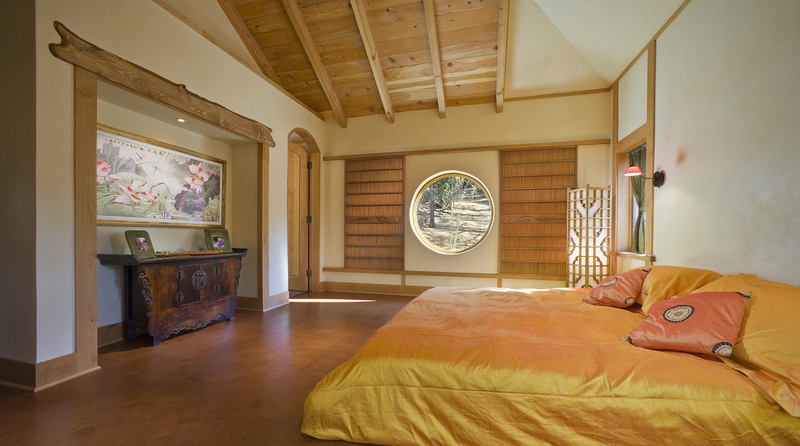 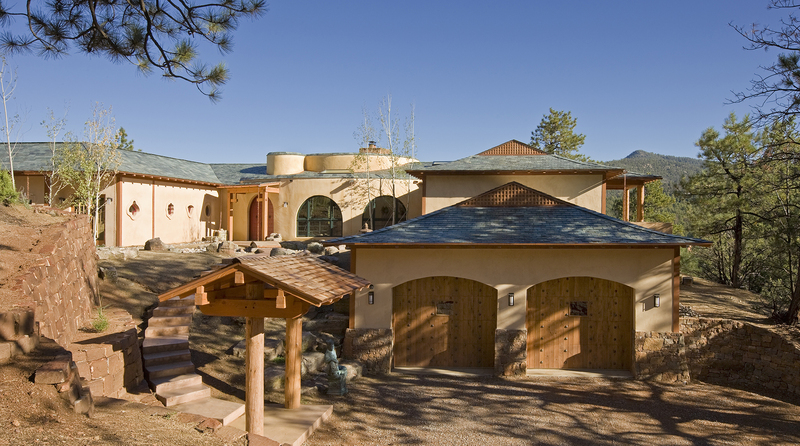 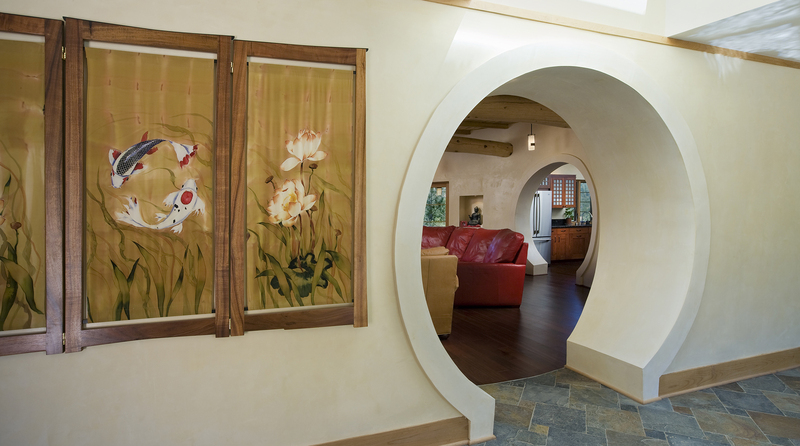 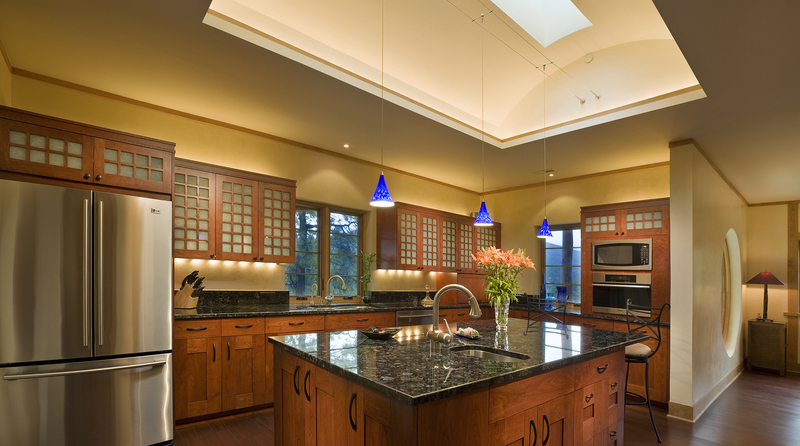 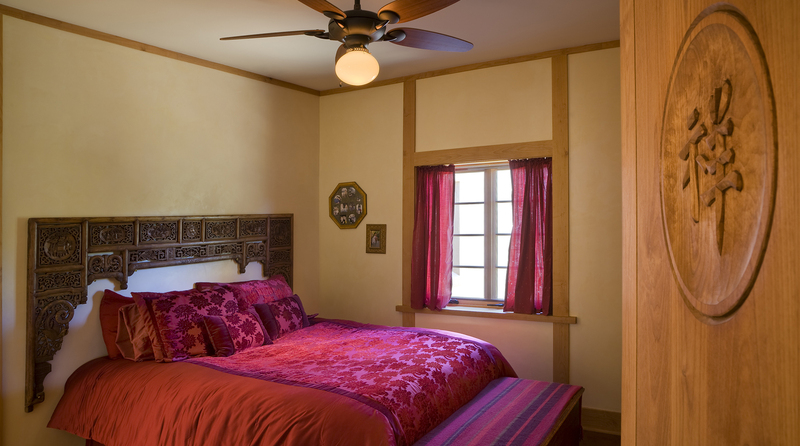 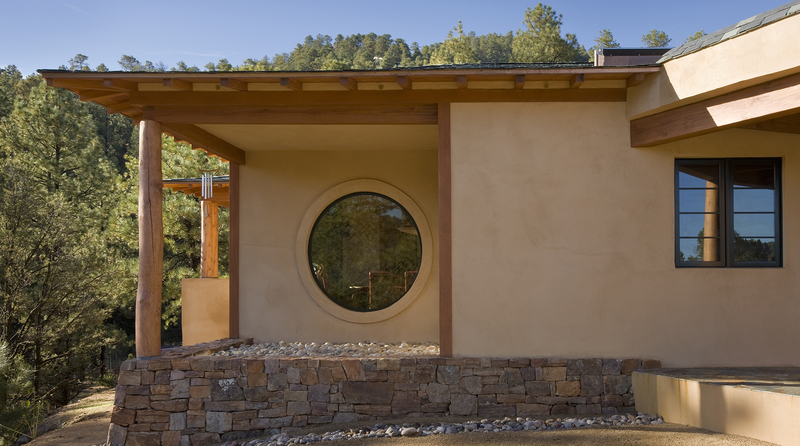 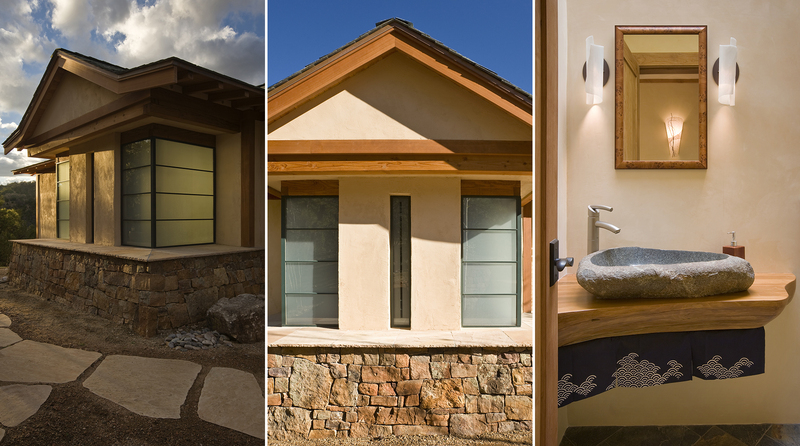 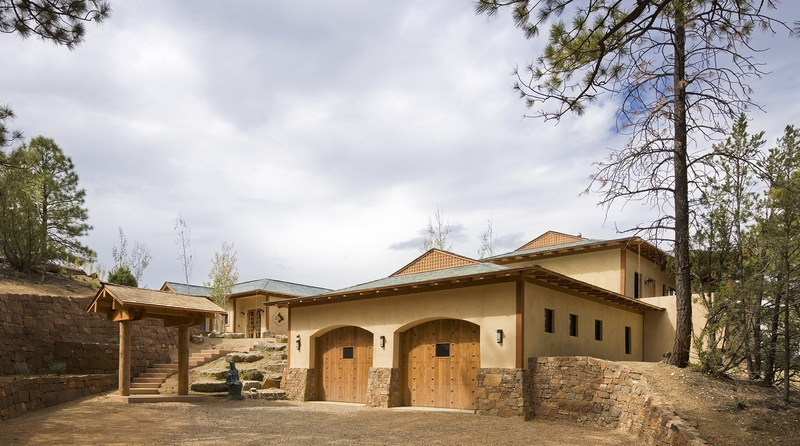 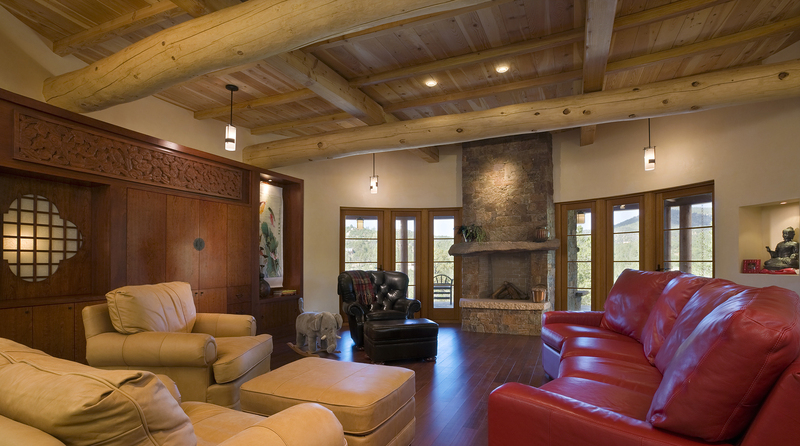 The owner’s desire was for a home blending Asian design characteristics with Southwestern architecture, developed within a small building envelope with significant building height limitations as dictated by local zoning. 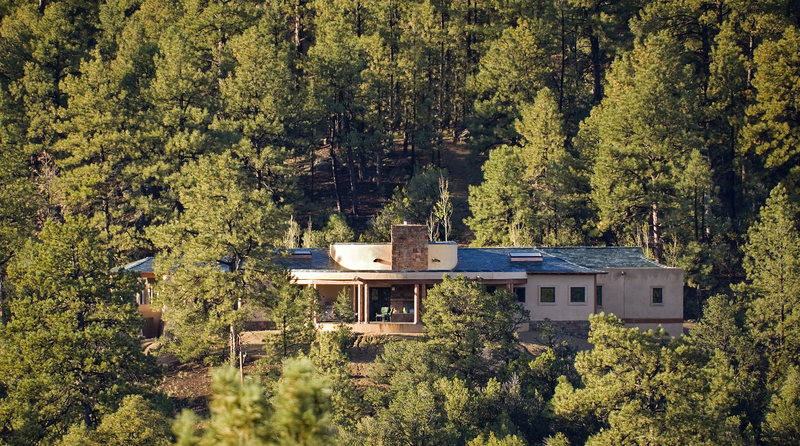 Even though the size of the property was 20 acres, the steep, tree covered terrain made for challenging site conditions, as the owner wished to preserve as many trees as possible while also capturing key views. 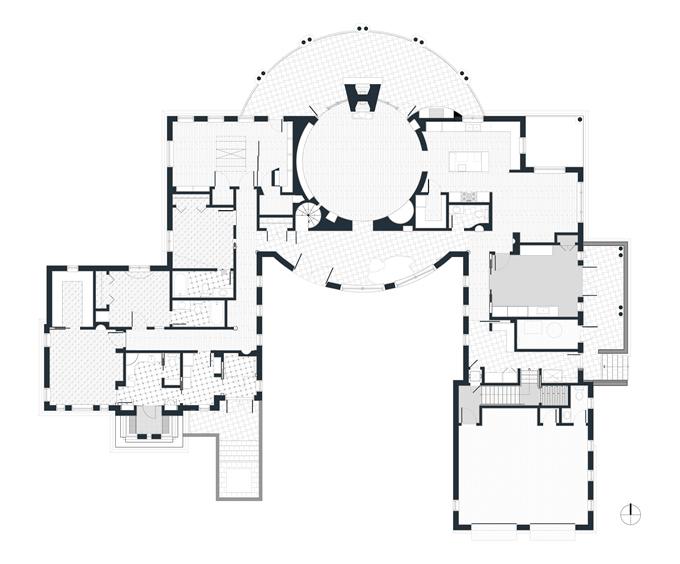 For the solution we first turned to vernacular Chinese villages as a prototype, specifically their varying pitched roofed buildings clustered about a central town square. 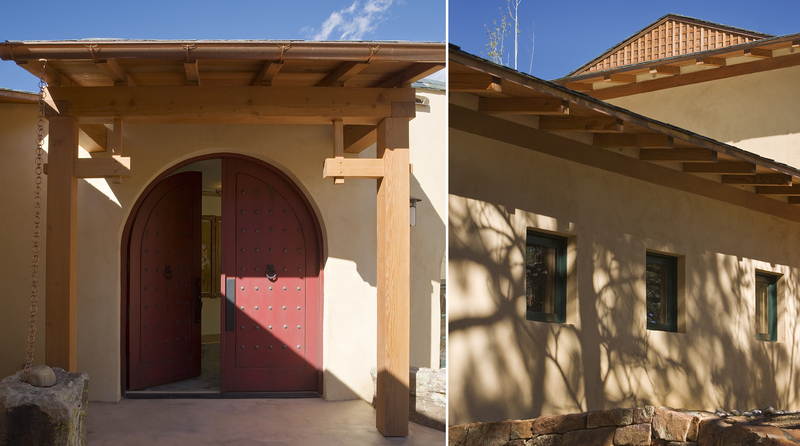 We translated that to an entry courtyard opened to the south surrounded by a U-shaped, pitched roof house that merges with the topography. 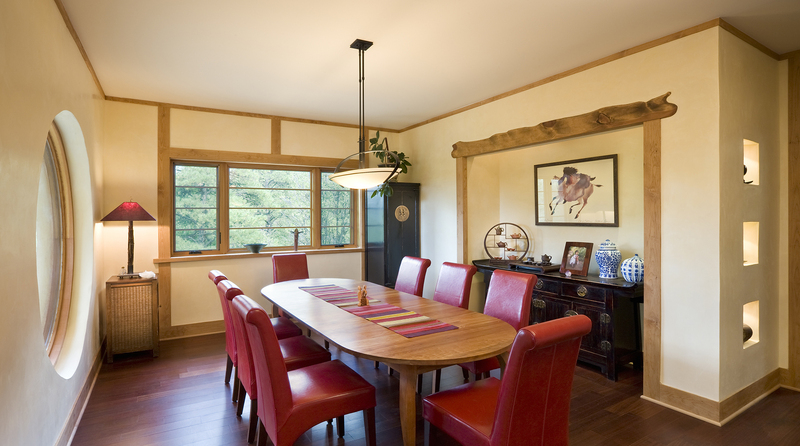 We then incorporated traditional Japanese folk house design detailing, particularly the tradition of hand crafted wood joinery. 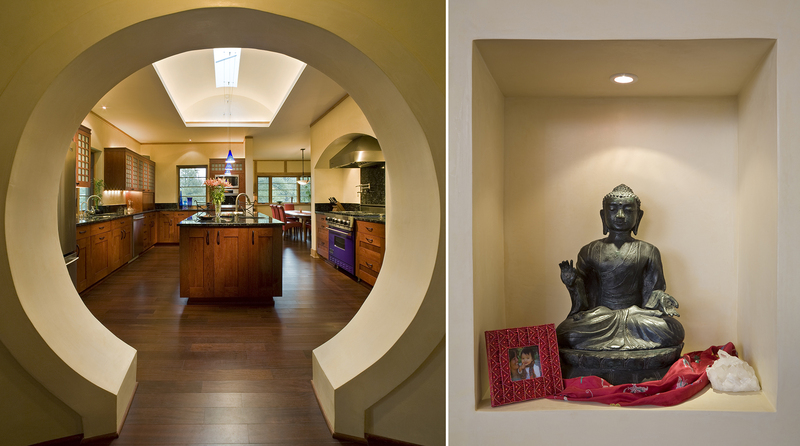 The result is a home reflecting the desires and heritage of the owners while at the same time respecting the historical architectural character of the local region.